Pop star Beyonce Knowles and her rapper-husband Jay Z enjoyed cocktails made from chicken bones recently. 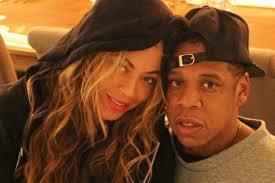 The couple enjoyed some quality time together after performing at Beyonce’s sold-out concert in The O2 arena here. They visited quirky pub White Lyan, in Hoxton, east London, known for not serving branded products, it’s there that they sipped on unusual concoctions such as the Bone Martini.